Whether you are dealing with an unintended pregnancy or are interested in adopting a child into a loving, caring, Christian home, we can provide the education, resources and assistance you need. 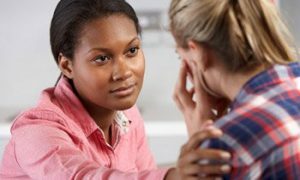 We provide compassionate counseling for the birth parent(s), ensuring the best interests of themselves and the baby are met. For families hoping to grow through domestic and international adoptions or to unify through step-parent or grandparent adoptions, we provide home study services, preparation counseling and support throughout the process. For over 120 years LCFS has been bringing families together through adoption – providing guidance in the best interests of the birth parents, adoptive parents, and most importantly, the children.